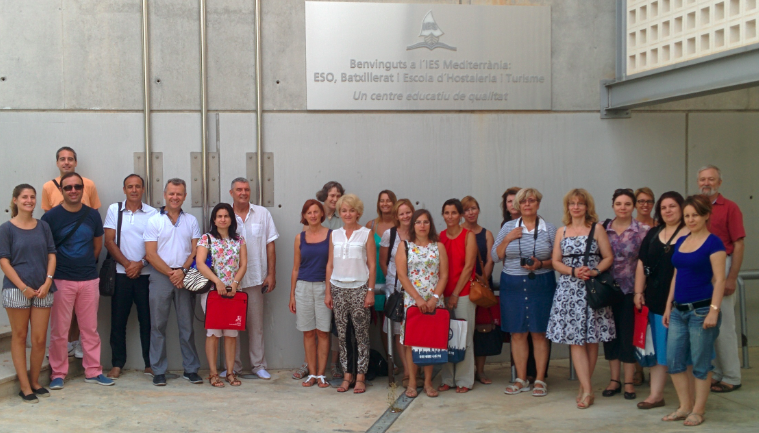 IES Mediterrania in collaboration with MUST project is offering CPD training courses aimed to European teachers and trainers that want to develop professional skills with interactive and inspiring workshops in a friendly atmosphere in SPAIN (picture is from September 2105 course). Increasing the quality and relevance of learning by means of introducing teachers to innovative teaching pedagogies and tools (Moodle), development of ICT-based approaches to STEM curriculum including the use of OER (Open Educational Resources) and the improvement of language competences (CLIL). Increasing the impact of educators in a European dimension by means of helping educators to become able to use technology effectively and sharing examples of good practices through teacher and school networks. We are organising courses throughout the year. Please send us an email at info@mustpro.eu with expressions of interest and asking for possible dates. P.S. : Just in case you want to include our courses in your KA1 application IES Mediterrania Personal Identification Code (PIC number) is 944768749.